THE PENTICTON VEES host the Salmon Arm Silverbacks tonight at the South Okanagan Events Centre at 7 p.m. The Penticton Vees ride a four-game winning streak into tonight's match against the Salmon Arm Silverbacks at the SOEC. The Penticton Vees are aiming to get off to a better start against the Salmon Arm Silverbacks tonight at the South Okanagan Events Centre at 7 p.m. In eight of their 10 home games in November and December, the visitors have hit the scoresheet first, including Wednesday’s 4-3 overtime victory against the Trail Smoke Eaters. Vees captain Nicholas Jones said they don’t want to have the same start that saw them trailing 2-0. Last time the Silverbacks (14-18-1-1) visited Penticton (27-5-1-0) on Dec. 4, goalie Nic Tallarico made 51 saves in a 4-3 double overtime win after coming over from the Estevan Bruins. Jones said the Silverbacks are a squad that possesses speed and stressed the importance of the Vees tightening up. 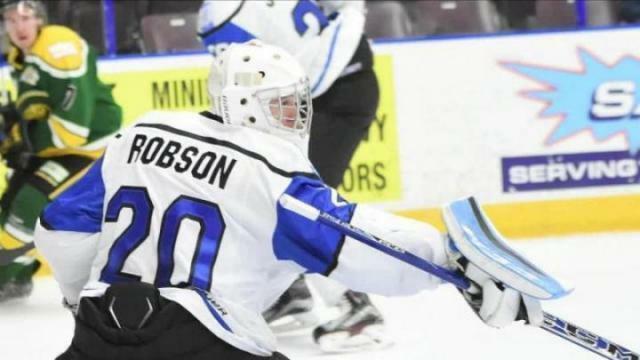 Vees coach-GM Fred Harbinson expects the Silverbacks to be hungry after losing to the Vernon Vipers on Wednesday. The Vees will be looking to extend their winning streak to five games and maybe it will be Grant Cruikshank who helps make that happen. The Delafield, Wis., product has sniped the game-winning goal in the last four games. Since joining the Silverbacks earlier this month, Tallarico has three wins in five games and has a 3.07 goal against average and a .926 save percentage. The Silverbacks top line of Elijah Barriga, Carson Bolduc and Mitch Skapski have combined for 40 goals and 102 points.